Need a Commercial Photographer for Location or Studio Work? Blog / Need a Commercial Photographer? We’ve spent almost 30 years building a network of vendors who meet our incredibly high standards. When you work with Longbotham Strategic Marketing, you’ll enjoy access to these trusted partners. It’s just one more way we help you do things right the first time. 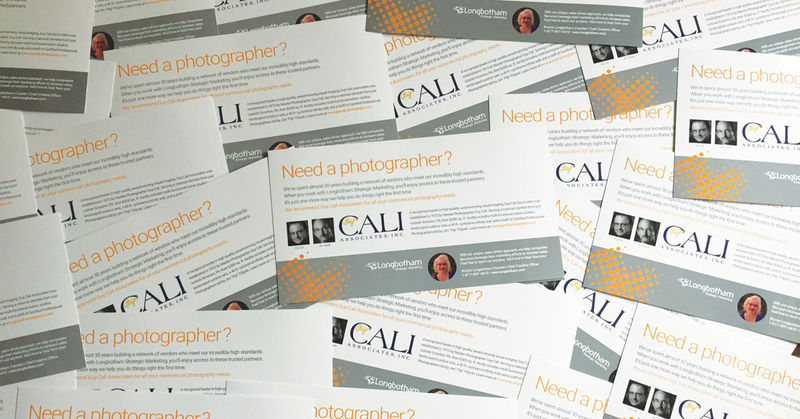 In a recent promotional mailing, we recommended Guy Cali Associates. A recognized leader in high quality, award-winning visual imaging, Guy Cali Associates was established in 1973 by Master Photographer Guy Cali. Our preferred Commercial Photographer, they’ve worked closely with our team for decades on location shoots and in studio sessions. If you’ve ever been on a successful photo shoot, you’ll understand what it feels like to know you’re in the best of hands. From a technical standpoint, they’re always got us covered. Artistically, we love collaborating with them to come up with amazing images that really do justice to the product, the construction project, the industrial application, or whatever we’re working on at the moment. However, in our opinion, all the technical expertise and artistic vision in the world is worthless if it doesn’t come with integrity attached. Simply put, we work with people we like, respect, and trust…like the folks at Guy Cali Associates. Serving a national clientele from just outside Scranton, PA, Guy Cali Associates’ 8,000 sq. 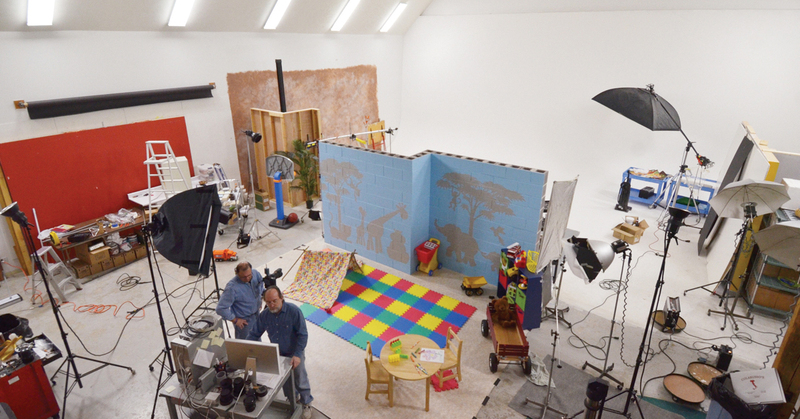 ft. facility includes multi-functional indoor studios, landscaped outdoor sets, a 40 ft. cyclorama infinity wall, and a staff of Certified Professional Photographers led by Jim “Flip” Filipski. If you need commercial photography, feel free to contact Guy or Flip directly at 570-586-2500. If you’d prefer to discuss your marketing needs, book our art direction services for a shoot, or request a quote on a Turnkey Social Media Content Program (images, video, posts, infographics, and more), call 1-877-897-4613 and ask for Bonnie Longbotham. Here at Longbotham Strategic Marketing, with our unique, sales-driven approach, we help companies leverage their marketing efforts to increase sales.